This is a scalable context timeline. 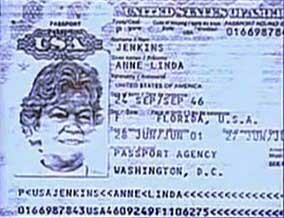 It contains events related to the event November 2002: CIA Team Arrives in Milan for Abduction of Radical Cleric. You can narrow or broaden the context of this timeline by adjusting the zoom level. The lower the scale, the more relevant the items on average will be, while the higher the scale, the less relevant the items, on average, will be. Italian authorities monitoring a cell of Islamist extremists based in Milan, Italy, overhear one of the radicals plotting to create a new trans-European network. The surveillance target, Hassan Mustafa Osama Nasr, who previously informed for the CIA in Albania (see August 27, 1995 and Shortly After), tells an unidentified man that they will use the network to “eliminate the enemies of God.” News of the network, which is to be based in Britain, causes the Italians to place Nasr under round the clock surveillance. [Vidino, 2006, pp. 236-41] Nasr will subsequently be kidnapped by the CIA (see Noon February 17, 2003). A device called the mattress, where the victim is tied to a wet mattress, his shoulders are pinned to it by one of the torturers, and electricity is fired through the mattress coils. 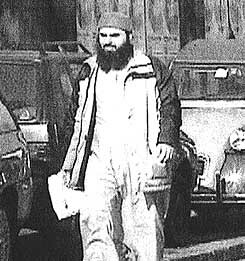 The CIA notifies the Italian military intelligence agency SISMI that Hassan Mustafa Osama Nasr, an Islamist radical the agencies kidnapped from Milan in February (see Noon February 17, 2003), is being interrogated in Cairo, Egypt. After Italian prosecutors begin investigating the kidnap, they will raid a SISMI safehouse in Rome, finding a document that confirms the notification. [Reuters, 11/4/2009] Nasr is actually tortured in Egypt (see Late February 2003 or Shortly After). After media begin to report on the CIA’s rendition from Italy of Islamist extremist Hassan Mustafa Osama Nasr (see Noon February 17, 2003 and June 23, 2005 and After), the agency’s Director Porter Goss asks its inspector general to review the case. According to the New York Times, the review is to focus on the “amateurish tradecraft in the case, like operatives staying in five-star hotels and using traceable credit cards and cellphones.” However, CIA Deputy Director for Operations Jose Rodriguez says that there is no need for a review by the inspector general and that the directorate of operations, which is soon to be renamed the National Clandestine Service, will investigate itself. [New York Times, 2/20/2008] Rodriguez was the head of the CIA’s Counterterrorist Center at the time of the rendition (see May 2002), but his role in approving the operation is unclear. Sabrina De Sousa, a CIA officer involved in the abduction of Islamist extremist Hassan Mustafa Osama Nasr (a.k.a. 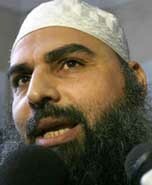 Abu Omar—see Noon February 17, 2003), files a legal action against the US government. The filing results from De Sousa’s displeasure at how her case is being handled by the government. De Sousa has been named as a CIA officer in Italy and accused by prosecutors in Milan of helping the rendition. However, the US government is not helping her defense, or the defense of the other 24 CIA officers accused of the kidnapping. In the suit, De Sousa attempts to force the State Department to invoke diplomatic immunity, halt the Italian prosecution, provide her with legal counsel in Italy, and pay her legal bills and other costs associated with the case. The action follows three years of fruitless private talks. [Congressional Quarterly, 8/28/2009] De Sousa will say she knows of no other such suits by former US officials in a similar position. [Congressional Quarterly, 5/15/2009] Her request will be partially granted just before the trial ends (see August 26, 2009).